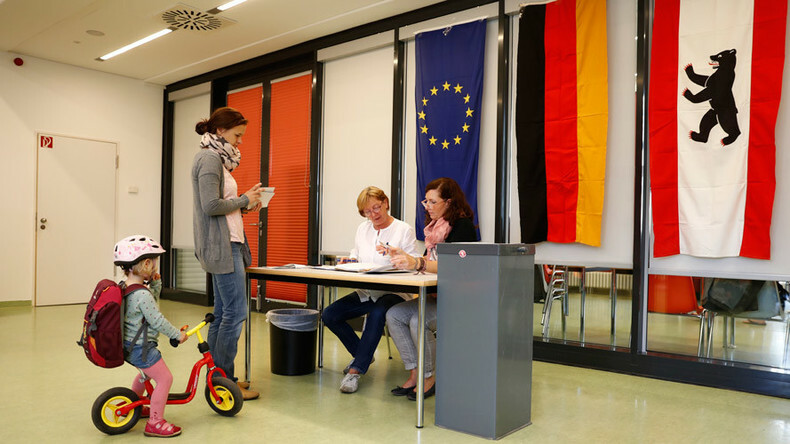 Germany’s anti-Islamization and Eurosceptic AfD entered its tenth state assembly, as voters deserted the mainstream parties in the nation’s capital. But a left-leaning coalition is likely to take control of the city. With all votes counted, Alternative for Germany (AfD), founded only three years ago, captured 14.1 percent of the vote, putting it in fifth place, but within range of the four leading parties. “It’s a huge success. We are a party coming from nothing, so the only party that is gaining two digits is us. Now, we are moving from the regional elections here this year, and looking to the national polls in 2017,” Beatrix von Storch, an AfD MEP, told RT amid celebrations. "Berlin was the real loser tonight," said General Secretary of the center-right CDU, Peter Tauber, whose party achieved its lowest post-WW II result, to a somber audience across town. The turnout was 66.4 percent – 15 percent higher than at the last election in 2011 – following a heated campaign marked by what was by standards of German political discourse, unusually harsh rhetoric. The center-left SPD remains the biggest party with 21.6 percent of the vote, followed by Angela Merkel’s CDU with 17.6 percent, the left-wing Linke party with 15.7, and the Greens at 15.2. The Pirate Party, which won over 7 percent five years ago, was decimated, to less than 2. With the top two parties losing more than 5 percent of the vote each, the existing grand coalition between the two centrist mainstays of Germany’s political system – which is currently in power at the national level – is no longer possible. “There is no question. 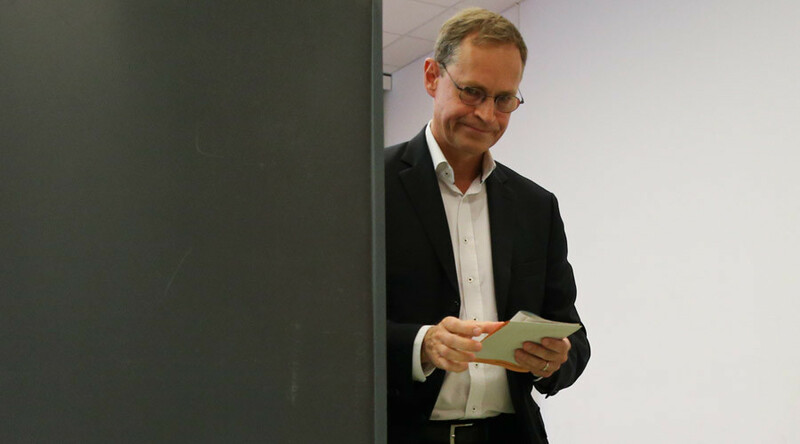 We didn’t get a good result in Berlin today,” admitted Michael Grosse-Broemer, a senior CDU politician, who nonetheless cautioned interpreting the capital results as a bellwether for next year’s countrywide polls. 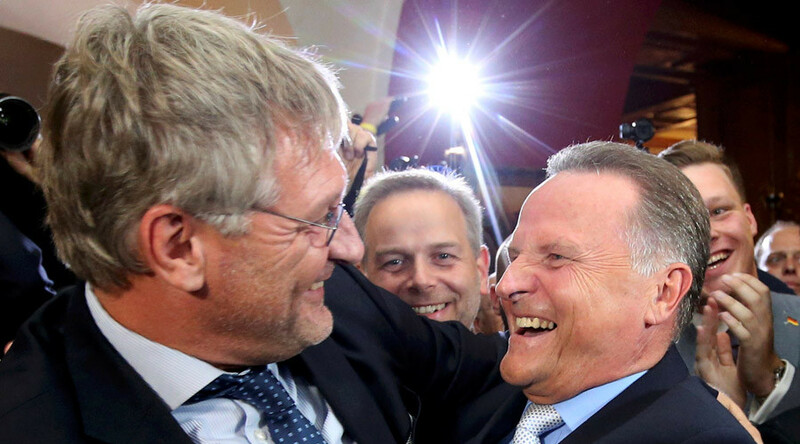 The AfD earlier proclaimed that the result augured the end of the stranglehold of long-established centrist parties on the country’s political levers of power. "We have reached our goal; we have a mandate to form a government," said defiant SPD Mayor Michael Muller, who is elected by the state assembly, and has been in power since 2014. Observers were speculating that the SPD will now rely on backing from the anti-capitalist Linke and the Greens, which are traditionally popular in Berlin, to form a so-called Red-Red-Green coalition, which would give them a majority in the state assembly. Muller, who said that a strong AfD performance would indicate “the return of Nazism” in Germany, said he was open to the three-way coalition. In 2011 talks between the same parties broke down, as the more radical Greens and Linke members refused to compromise on their core issues. Many have interpreted the historic low for CDU as retribution for the open-door refugee policy that has resulted in the arrival of more than 1 million migrants in Germany over the past two years. Indeed, immigration and security came out as the two top issues for AfD supporters in the run-up to Sunday’s vote. But the Berlin electorate as a whole, which constitutes around 2.5 million people, said that they were more concerned by the economy, social justice and education – three issues that reverberate locally in the vibrant, but not outstandingly prosperous cosmopolitan city. 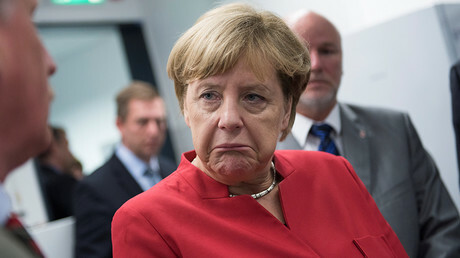 CDU continues to poll at over 30 percent nationwide, almost 10 percent higher than their closest rivals SPD, though there is looming uncertainty over leadership, with Merkel, whose personal ratings have taken a hit, saying that she is unsure if she will run for her fourth term. As for the AfD, which is polling at between 13 and 15 percent nationwide, there will be more receptive battlegrounds in upcoming local elections, in which it will hope to repeat its performances in Mecklenburg-Vorpommern and Saxony-Anhalt, where it came second, and grabbed over 20 percent of the vote.